Inside Scoop: Why an organic vitamin C serum could be the missing ingredient in your skincare regimen for brighter, smoother and more hydrated skin. 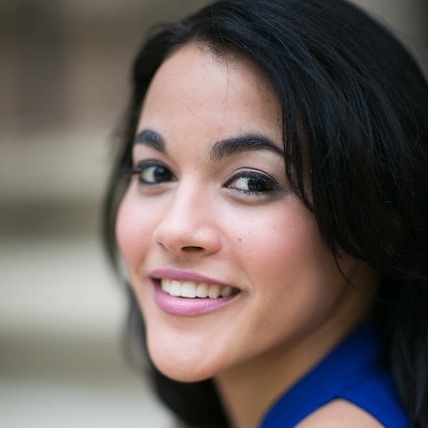 This post was submitted by Diane Elizabeth, a beauty expert and founder of Skin Care Ox. While fall is a beautiful time of year, with the leaves changing an array of gorgeous sunset-colored hues and winter a picturesque season, with the gentle snowfall creating a winter wonderland that paints an icy, ethereal scene, the state of our skin during the frosty months can be quite the opposite. Don’t be fooled by the beautiful illusion that is winter. It may be gorgeous, but bitter temperatures, harsh winds and dry air can take quite the toll on the complexion. Hydrated skin is key to youthful skin, but in winter, when the air is dry, it may feel as if the moisture is leaking out of your skin cells by the second. This is because during the icy months, there is less humidity in the air. Then when you try to escape the dry air by heading indoors, you are confronted by artificial heating, which makes the air just as dry! This is where vitamin C swoops in to save the day! In this article we’ll talk about a few ways that an organic vitamin C serum can transform your skin during the rough months and become your new staple ingredient season after season. We don’t mean vitamin C like bulk buying oranges and lemons from Costco! Oh no, we mean organic vitamin C serums, baby. The kind you apply topically to your skin to brighten, reduce inflammation, protect, and aid in collagen production. If this sounds like something you could make use of to bring your skin back to life, then read on, this one’s for you. But first, let’s talk about what happens to your skin in the winter which makes it so thirsty for vitamin C in the first place. Many people make the mistake of not varying their skin care routine when the seasons change. The trouble with not paying attention to the change in weather and how you treat your skin is that you’ll soon start to experience the harsh effects winter can have on your skin. When the weather gets colder outside, we do the logical thing… turn up the temperatures inside. Thing is, as you turn up the artificial air, the decrease in humidity starts to affect your skin negatively. The dryer air inside starts to zap moisture from not only the air, but your skin too. It’s easy to forget about protecting your skin from the sun when the sun doesn’t really tend to make much of an appearance during the colder months. The sun still shines its UV rays brightly and strongly through the clouds, making it extra important to protect your skin even during the winter. And if you live in an area that happens to get even just a little bit of snow, the UV rays do double damage by reflecting off the surface of the snowy white stuff! 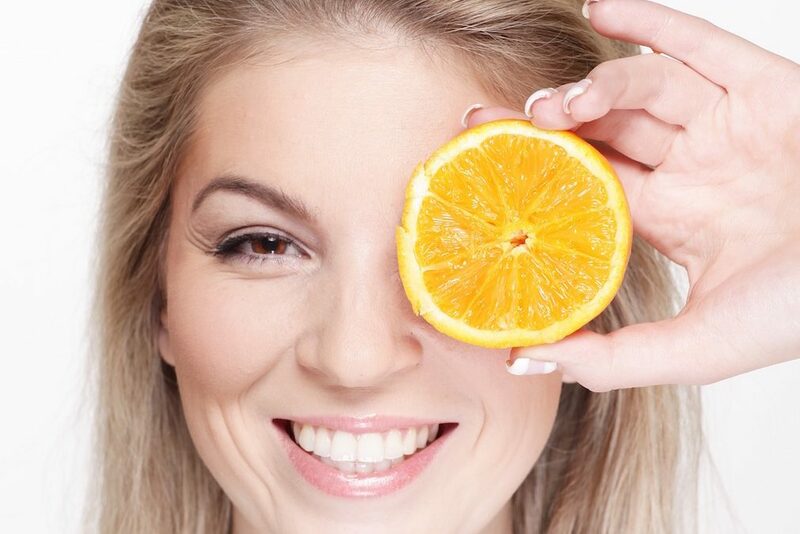 Vitamin C helps to brighten the skin and lighten dark spots as a result of hyperpigmentation. Hyperpigmentation is discoloration of the skin (characterized by darker areas of skin) and can be caused by many different factors from hormonal changes to sun damage. 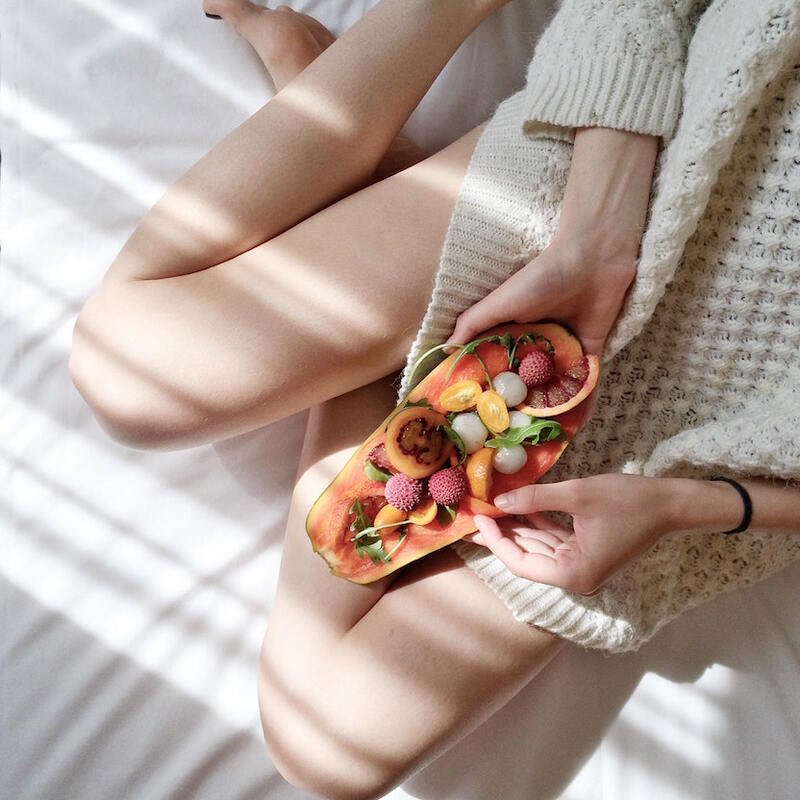 Vitamin C is a skin savior when it comes to targeting hyper pigmentation, because it produces an enzyme called tyrosinase which reduces the production of melanin pigments in the skin, near the hair follicles. So if you’re topically applying this antioxidant vitamin to your skin and noticing that your skin is naturally getting brighter, then you aren’t imagining it. This ideal during those gloomy days when your skin feels anything but radiant! This is something vitamin C is well known for, as an antioxidant and anti-inflammatory in the body, vitamin C helps to lower the risk of diseases. When applied topically, an organic vitamin c serum can instantly help to soothe conditions like acne and reduce inflammation to prevent future flare ups. This makes it especially beneficial to sensitive skinned individuals, because the harsh dry air of winter can exacerbate sensitive skin, resulting in dry, red and itchy skin. It’s absolutely essential to apply a moisturizing product rich in vitamin C to help protect the barrier function, because when this is impaired it can completely throw off the skin’s pH and put it at risk of damage. As we mentioned above, vitamin C helps to provide a protective barrier to keep pollutants out and lock moisture in, but you may want to know a little more about how it can do this. Vitamin C has potent antioxidant properties that help fight off free radical scavengers that can impair the barrier function, contributing to the signs of aging by stripping moisture from the skin. So think of vitamin C as your protective armor in the cold. Any harsh element, be it the dry air, icy winds or even the sun, simply bounces off your skin and won’t impact it as long as your skin is slathered in this superstar ingredient! Collagen is a structural protein responsible for plump, firm and youthful skin. This is because we naturally have the highest concentrations of collagen when we are young, however its concentrations decline as we age. 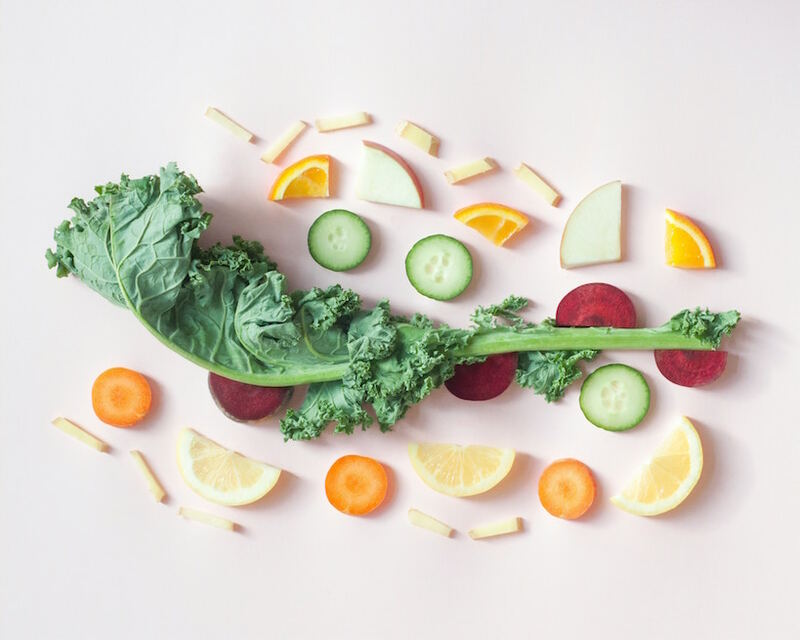 While collagen boosting foods like salmon, citrus fruits, yellow and orange veggies and leafy greens can go a long way towards increasing collagen in your body, applying topical ingredients that boost this important protein are just as important. The dry air of winter can strip the skin of beneficial oils and this dryness can contribute to sagging skin, and a higher incidence of lines and wrinkles. By applying a topical organic vitamin C serum, you can help promote the formation of collagen for skin that is taut, firm and perfectly plump! This might come as a surprise to you, but did you know that there are several types of vitamin C used in skincare products? Out of them all, the most heavily researched type of vitamin C is L-ascorbic acid, which has been proven to boost the production of collagen in both young and aged skin while firming and preventing damage from the sun. No matter what type of vitamin C you may see in the ingredients list on your vitamin C serum, they all offer moisturizing benefits for your skin. Marie Veronique created her own line of products when she couldn’t find something natural, safe and effective to help her rosacea. 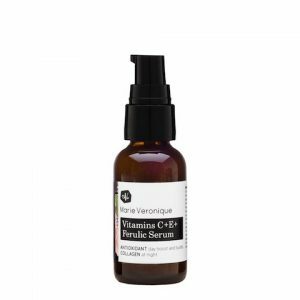 This Vitamin C + E + Ferulic serum not only helps to add a healthy glow, but also offers sun and antioxidant protection to help rebuild collagen. It’s one you’ll want to buy over and over again. Graydon Skincare is like food for your skin. 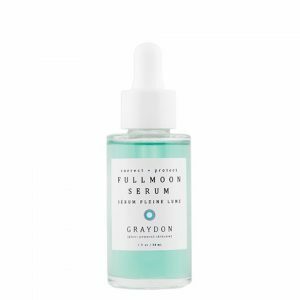 This Fullmoon serum is not only formulated to contain vitamin C, but it’s also made with botanical collagen, hyaluronic acid, oligopeptides and moth bean extract, anti-inflammatory blue tansy, an anti-pollution complex, and also infused with Graydon’s favorite gemstone malachite. It helps to combat signs of aging for a plump and radiant complexion. 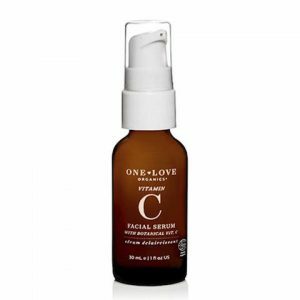 Using not only one but two plant powered and potent sources of vitamin C, the Facial Serum from One Love Organics has been clinically proven to increase luminosity and nourish the skin for a more radiant, and even-toned complexion and combating the effects of stress and environmental pollution. The time of day you apply your vitamin C serum is something you really can’t go wrong with. If you spend lots of time in the sun, or outside, it may be best to apply your serum in the morning, because as you now know, vitamin C helps protect the skin from UV rays. Since there is evidence however that free radical damage does continue to affect your skin overnight, it’s also helpful to apply your vitamin C serum before bed to slow down signs of ageing and protect from free radicals. Leave some time before applying vitamin C if you’re using retinol, or salicylic acid to prevent redness or stinging. Choose an organic vitamin C serum that comes in an air-tight package since antioxidants can breakdown when exposed to air and light. Vitamin C may sometimes cause redness and irritation if you have sensitive skin, so start with a smaller dose application and make sure to moisturize well after.